Calling all you Instagramers! As many of you might already know, we’re pretty fond of almost every social media platform in the land. If we’re not tweeting our Facebooks, we’re Instagraming our Pinterests….it can all get a bit contusing but we love it! Now one of the biggest reasons we just loving getting social is because it’s such an amazing way to be in touch with all our amazing customers and fans, as well as getting to see all the fab things people have been posting, sharing and commenting to us. Getting to see all our designs in their new home is just about as cool as things get. For us anyways! Each week a whole bunch of you lovely lot snap your latest purchases or perhaps current outfit and upload them to Instagram for all to see. If this is you then thank you so much! To celebrate your hard work, we’re picking out just a few of our favourites to share and perhaps inspire even more shopping or snapping of your very own. So! Check out some of these amazing Instagrams that we’ve been loving and don’t forget, if you’d like to be featured or even just let us see what you’ve got your hands on, tag us using @truffleshufflecom or use the tag #truffleshufflecom and we’ll spot it. Enjoy! Fancy being featured in the next insta-llment? 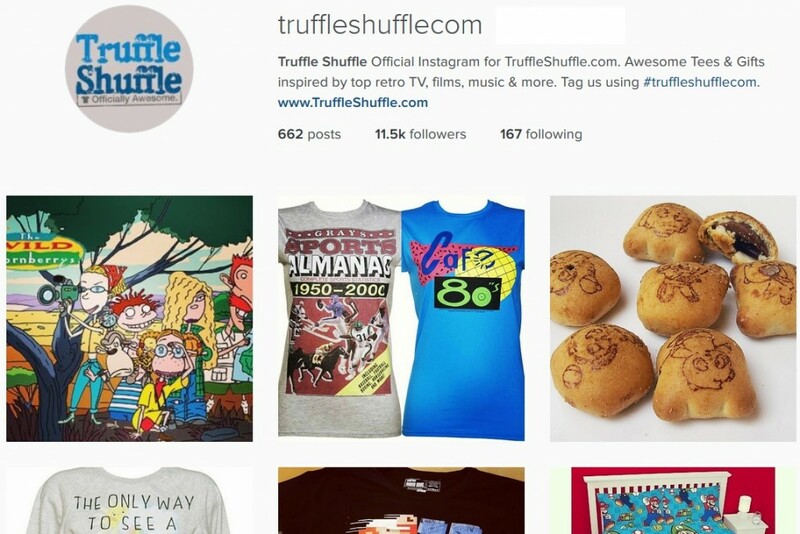 Why not snap and upload you very own TruffleShuffle purchases and be sure to tag them with #truffleshufflecom and you can always tag us using our profile @truffleshufflecom so we can’t miss it. Previous PostPrevious Celebrate 20 Years of the PlayStation at TruffleShuffle.com!